PS11 | too weird to live, too rare to die. 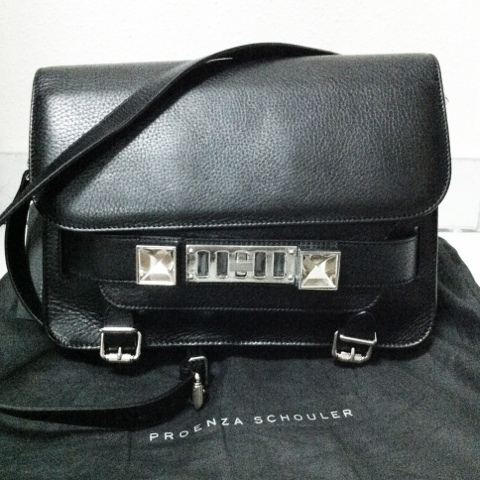 I've been coveting this baby from Proenza Schouler ever since it surfaced the scenes back then. The smooth black leather, adjustable straps and not-too-huge size, and not to mention the edgy silver hardware. And when I saw it on the racks at the Reebonz pop-up sale over the weekend, it was too good a chance to miss out. I mean, 30% plus an additional $100 off, how do you say no to that? At just half the market retail price, this baby was practically a steal. But no really, I need to stop buying more bags.